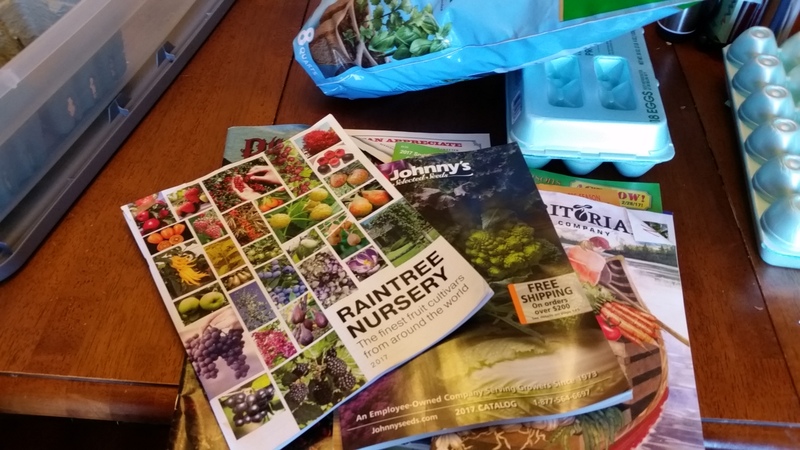 The time we flip through catalogs filled with seeds. The time we inventory our seeds. The time we start our seeds. This year, I decided to turn the process into a lesson for the boys. They were eager to help. First, we created our mix. I added some vermiculite to a commercial seed starter to make sure the soil was extra loose. At this point, I will not put fertilizer in with the seeds. The potting mix is already balanced with nitrogen, phosphorus and potassium so I will wait until we transplant to the garden to add the extra boost to the soil. Then we talked about the three main requirements for growing healthy plants. Next, we filled our containers with the mix. When it came time to put the seeds in, the boys had almost lost interest. It took them quite a bit of time to fill the seed containers with soil, so I really couldn’t blame them. They each plopped a few seeds in and then went to play. 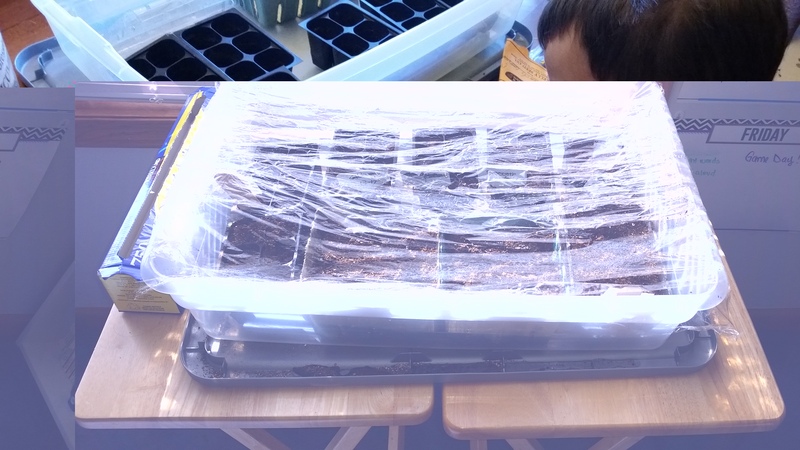 I finished sowing the seeds, watered them and covered the whole container with plastic wrap to keep the moisture and warmth in and encourage germination. 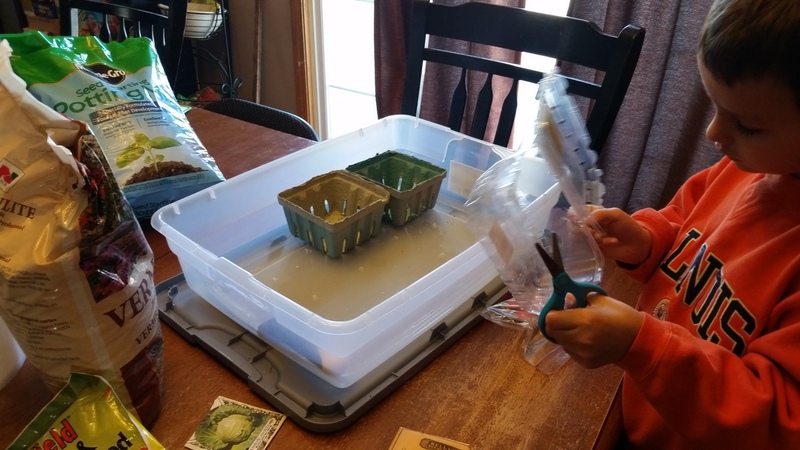 We put the tray in the schoolroom so we can watch them and water them. The windows are south facing and we get a lot of sunlight pouring through so it really is the perfect place. Finally, while the boys sat down to watch an episode of Wild Kratts, I grabbed my coffee and started looking through my catalogs once again. Now that I’ve inventoried what we have, I’ll be ordering what is missing…and what looks good too. 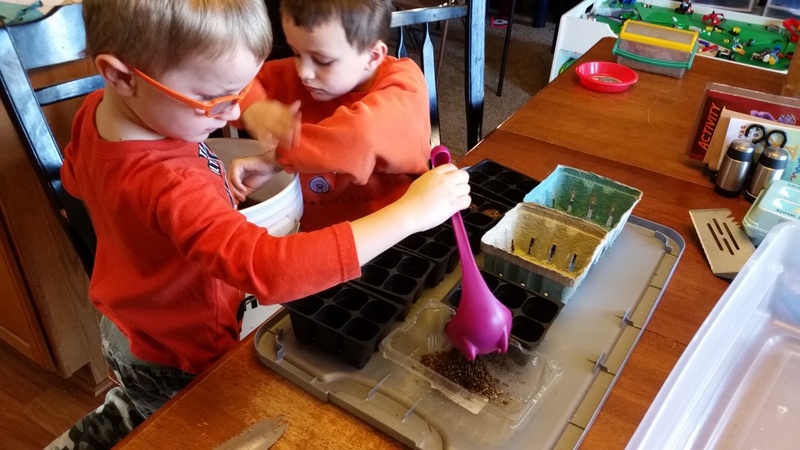 This entry was posted in Education, For the Kids, Garden Stories, Homeschool. Bookmark the permalink.